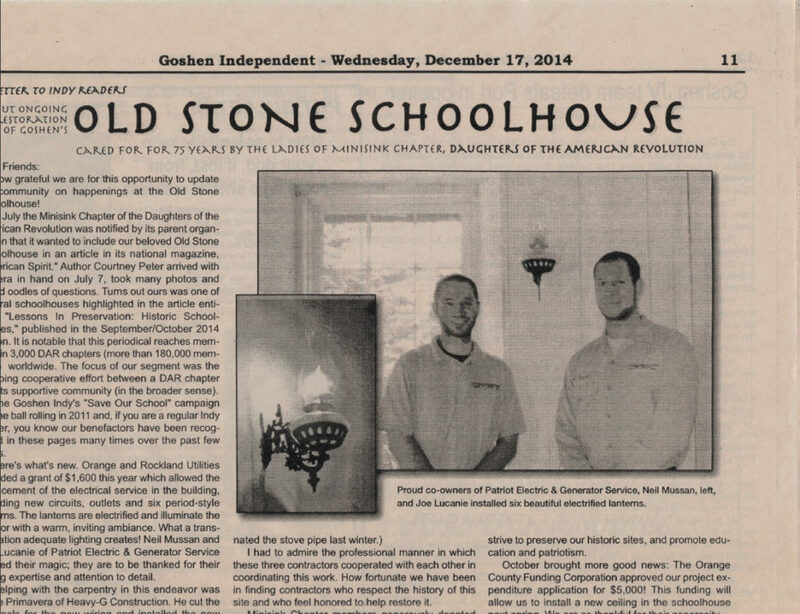 Co-owners of Patriot Electric & Generator Service, Neil Mussan and Joe Lucanie are proud to have installed six beautiful electrified lanterns at the Old Stone Schoolhouse. 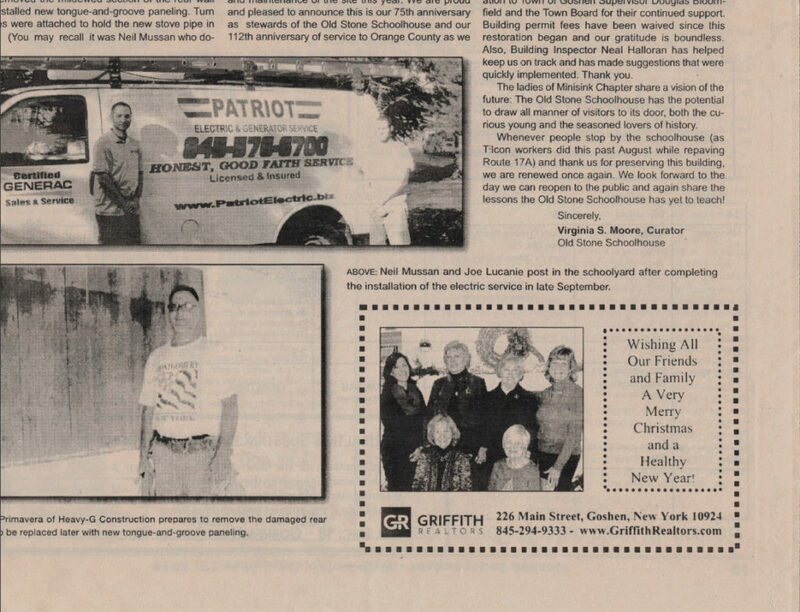 Honoring the history of this site, Mussan and Lucanie were eager to help restore it. Their expertise, knowledge and attention to detail have contributed to creating a pleasant and welcoming ambiance.